The Sartorialist: Best Design Article I've Ever Read. Best Design Article I've Ever Read. 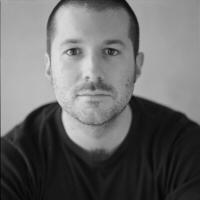 Jonathan Ive, Head of Design at Apple, is a modern master of design. The recent Time magazine "What's Next" issue reminded me of a great article I read years ago in Fast Company about Jonathan Ive's approach to design. Why We Buy explains Ive's rules on how to create "design with power, passion, and purpose". Comments on "Best Design Article I've Ever Read." Hey buddy, I just posted another link to your blog in regards to this article (GQ Fashion Forum). We were discussing technology, marketing and the impact on our society. GQ won't let me post links to my own blog so when you do that it really helps. GQ has a new feature in their forums. You can "edit your account" and insert your location, occupation and homepage (your blog) and a biography if you wish. This guy is a member at the Sports Club i work for! Very nice guy. nothing like a man who can not only design but manage to be cute at the same time. Having photographed Mr. Ive in the past, I can report that he is well aware of how he is presented. This too is his design sensibility.